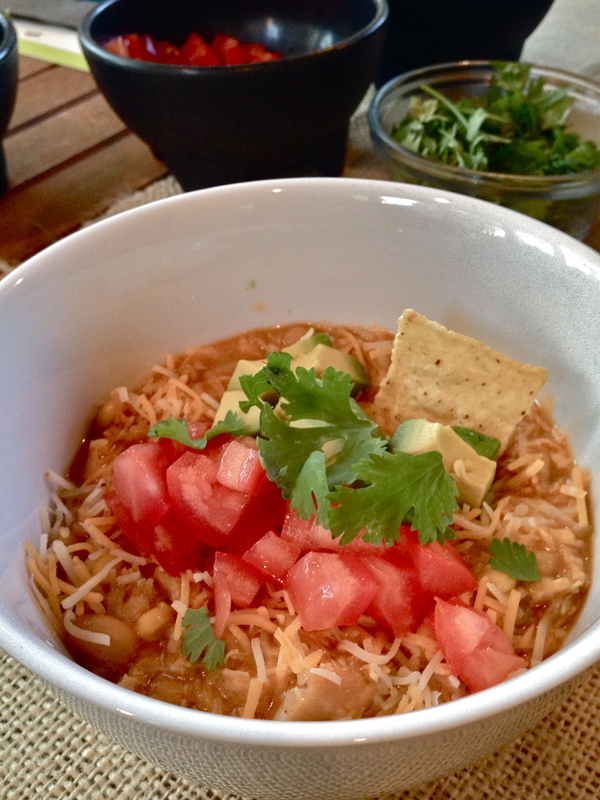 This entry was posted in Recipes and tagged chicken chili, chili, crock pot meals meal planning, fall food, slow cooker meal, white chicken chili, white chili. Bookmark the permalink. Jill. . . Love your blog and will make the white chicken chili to take up to Marty and Cat’s nest week! I tried to comment directly on the blog but the comment section was password protected. I’ll be gearing up my blog at wheresweinberger.wordpress.com later this week in anticipation of daily posts from my trip starting October 4. My plan is to do some good writing because I’m now using this as a clip for pitching articles. I actually have a toe in the door at the Wall Street Journal, of all places!! One of the guys in the Triumph club is the assistant managing editor and says he wants to see my name in print!! And who knew the WSJ has a travel section. Dalla mia iPad. . .
Hmmm…the password protection should be fixed now. I moderate to filter spam but the settings got bungled so folks should be able to comment now.